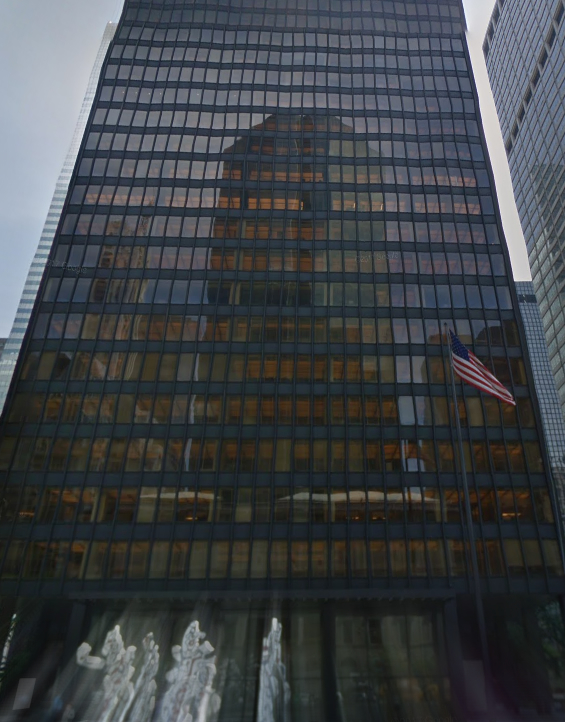 In 1958 The Seagram Building is completed, marking an important stage in Park Avenue’s transformation from residential to a destination for high-profile offices and corporations. 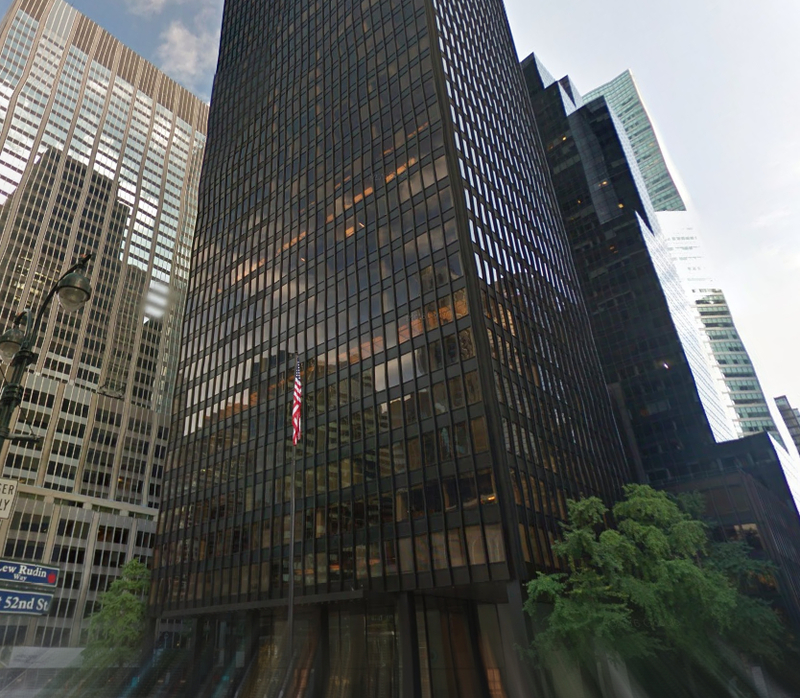 375 Park Avenue is the premier building trophy property that traditionally hosts some of the world's top companies as it continues to attract and maintain a strong base of leading global financial firms. Designed by Ludwig Mies van der Rohe in association with Philip Johnson the 38-story skyscraper stands as testiment to modern commercial building design. 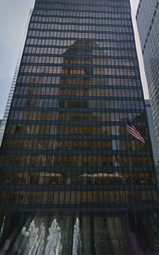 Regarded as one of the world’s finest office properties	the building can be found on Park Avenue between 52nd and 53rd Streets in the heart of Midtown Manhattan and stands as a “Class A+” building with more than 820,000 rentable square feet. Being regarded as one of the world’s finest office properties, 375 Park has long been popular with financial service firms, law firms and Fortune 500 companies. As a status symbol the building boasts a number of well heeled tenants throughout and has been touted as part of the Midown country club of office towers. Far from downtown Manhattan many financial institutions now call Midtown home - name such as; Arden Asset Management; Atlas Merchant Capital, co-founded by former Barclays CEO Bob Diamond; private-equity firm Clayton Dubilier & Rice; ConocoPhillips; law firm Sullivan & Cromwell; NASCAR, and; Singapore state investment company Temasek. 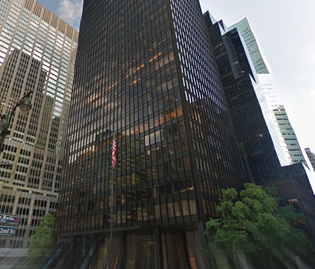 Because of this 375 Park Avenue continues to attract and maintain a strong base of leading global financial firms. Being the first office building to have floor-to-ceiling glass windows, the property Overlooks Park Avenue and enjoys panoramic views of Manhattan throughout its upper floors. For information on available office space in buildings near 375 Park Avenue, contact us and one of our brokers can provide you with all the intel needed including price, floor plans, photos, and insight into the area and the comparable options. This property does feature a number of details that may intrest the prospective tenant such as; a 150-car parking garage on the concourse level, convenient access to public transportation at both the Madison & 53rd Street and Lexington & 53rd Street Stations as well as Grand Central Station, an Executive Lounge - terrace - with rotating art exhibitions throughout the year. Its been said that "the plaza is an expensive aesthetic and symbolic gesture, especially significant in the dense urban environment which surrounds it." Moreover the building is now also home to restaurants by chefs Mario Carbone and Richard Torrisi. What perhaps is the standout unique feature is broad elevated plaza along Park Avenue. This plaza, considered one of 375 Park’s definitive design features, includes symmetrically designed fountains and landscaping. Otherwise the Plaza District hosts many fine luxury shops nearby on Fifth Avenue and has a strategic location providing entree to virtually any attraction with favorable access to the finest of luxury shops, hotels and restaurants that Midtown Manhattan has to offer. The property is neighbors with the Waldorf Astoria and the historic St. Patrick’s Cathedral which are literally steps away. Today RFR maintains ownership of the building through nearly $1 billion in financing that is securitized as a joint venture asset.